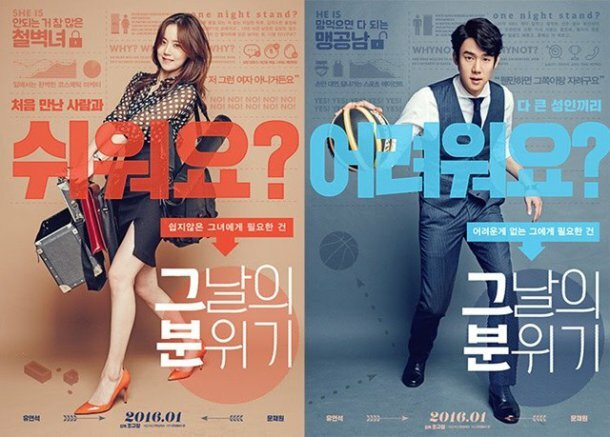 While Yoo Yeon-seok and Moon Chae-won's romantic comedy "Mood of the Day" is being released in January, their character posters have been released. "Mood of the Day" is a romantic comedy about an impregnable girl and a blind hole guy meeting one day on the KTX and waging on a one-night-stand. Yoo Yeon-seok and Moon Chae-won are expected to bring sweet romance to theaters this January. Yoo Yeon-seok plays Jae-hyeon, a guy who doesn't fail to get any woman he wants and believes that one-night-stands are also love. Moon Chae-won is a cheerful and loveable character who has had her eyes set on only one man for the last 10 years. The poster shows the mental thoughts of young men and women these days. 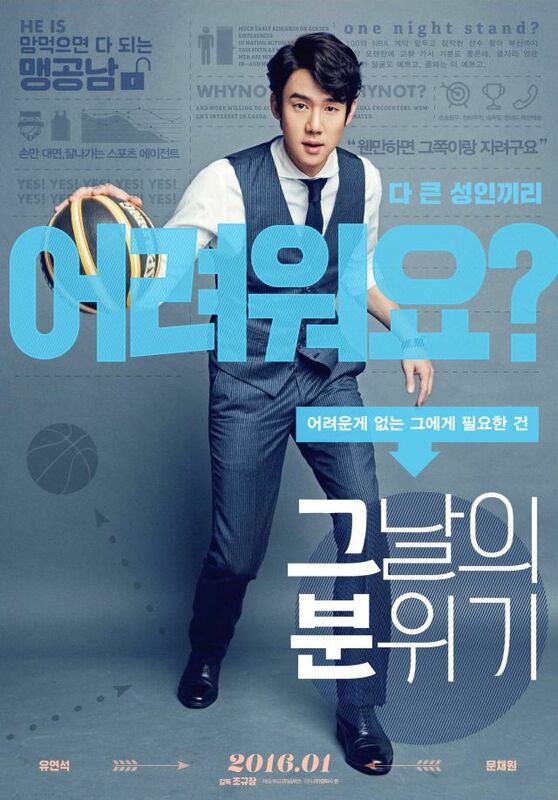 Yoo Yeon-seok being a sports agent, poses in the poster with a basketball, looking very carefree. The poster says, "I can get what I want if I want to. Between grown-ups, is that too hard?" Moon Chae-won being the youngest cosmetic brand company marketing team manager, she poses with a camera case, a file and make-up case. She looks like a haughty career woman who won't be an easy one to break. Her poster says, "Is it easy to spend a night with someone you just met?" "[Photos] "Mood of the Day" Yoo Yeon-seok and Moon Chae-won's character posters"
Im Sung-eon to star in "The Butcher's Lady"